But seriously, does this or doesn’t this loaf look heavenly. It does. It really does. Pour me some coffee and serve me a slice of this cake and you just found my happy place. The cake is moist, sweet, and I love how every now and then you get a tart taste of cranberry or a crunch of pistachio. Not a fan of all that icing? It’s totally fantastic without and still looks just as pretty as a picture. …well it is a picture, so… you get it. 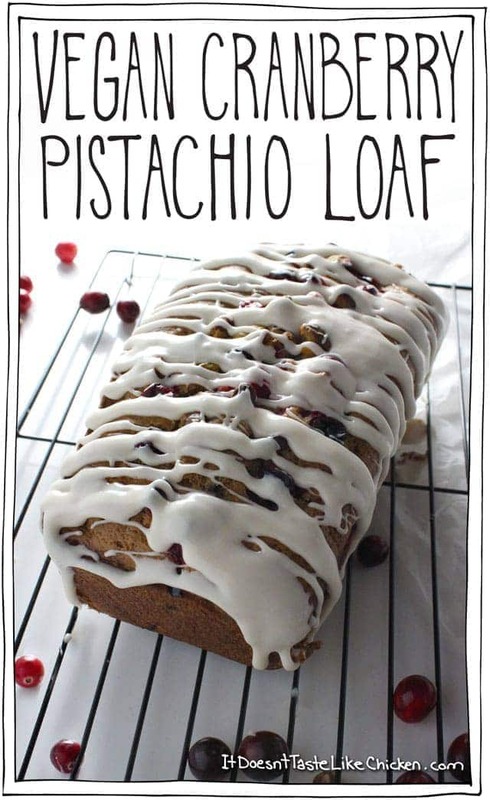 I am loving how the cranberries and pistachios make this loaf so festive! Perfect to serve Christmas morning or during the holiday season. Now for story time: Find a comfortable seat. Ready? I became friends with Andrew from One Ingredient Chef, when I unsubscribed from his blog newsletter. Let me explain. I decided to follow all of my favourite people on Bloglovin’ because as a blogger, I get A LOT of email, and I thought it would be easier to keep track of my favourite blogs this way. I didn’t want Andrew to get offended so I sent him an email explaining and it turns out we became good buds and started sending music videos back and forth to each other. (I like reggae, he likes dance). 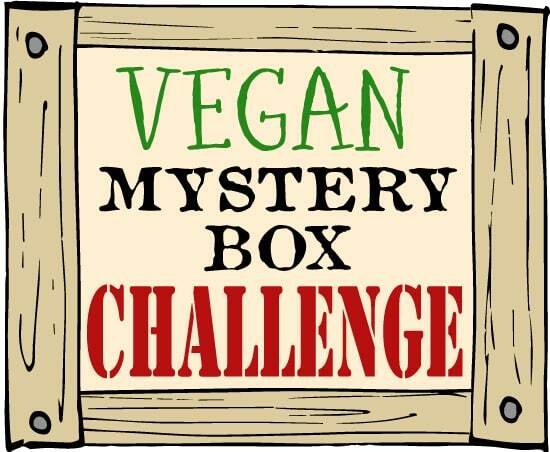 Then one fine email day, we thought it might be fun to do something where we could collaborate on some awesome vegan ideas, and so we came up with something we like to call the Vegan Mystery Box Challenge! “What is this mysterious challenge”, you ask? Andrew and I selected 3 mystery ingredients, and then we challenged vegan (or mostly vegan) bloggers from across the web to create a recipe using these three ingredients! Everyone posts their recipes at the same time, and share each others recipes with our readers to see what everyone came up with! How fun is that, right!? It’s very fun. We were so excited when so many people signed up, and I was even more excited when I saw how different each and every recipe turned out. So what were the three mystery ingredients? Cranberries, pistachios, and coconut milk! (Yeah, we went for the holiday colours). 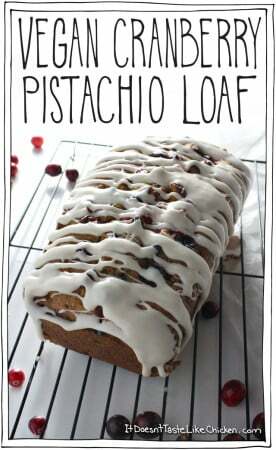 The recipe I came up with was this Vegan Cranberry Pistachio Loaf. Are you not blown away by that list!? I am seriously so impressed at how many people participated AND how many creative recipes everyone came up with. It just shows that you can take the same 3 ingredients and have endless ways to prepare them! So much fun. 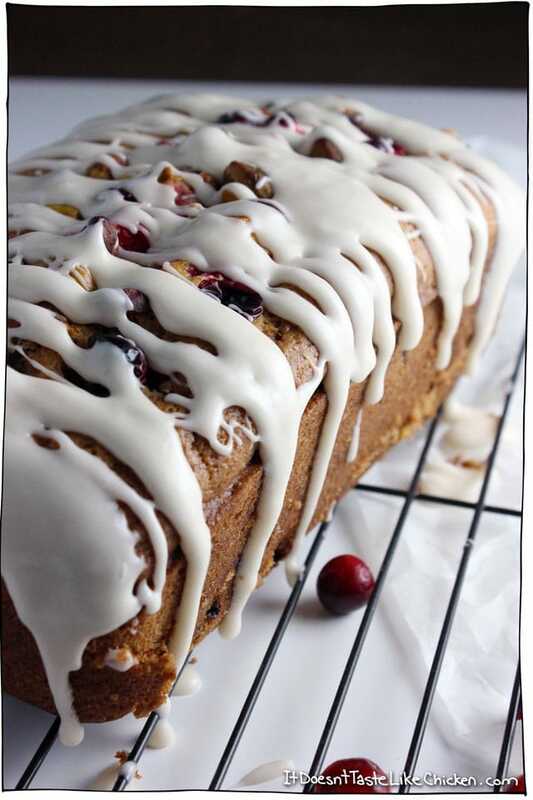 Once you are done drooling over all of the recipes, we return to my cranberry pistachio loaf cake, and I’ll show you how to make this heavenly cake. Whisk together all the wet ingredients in a medium bowl. Pour the wet into the dry, and stir until just combined. Add in the cranberries and pistachios and mix in. Be careful not to over mix. 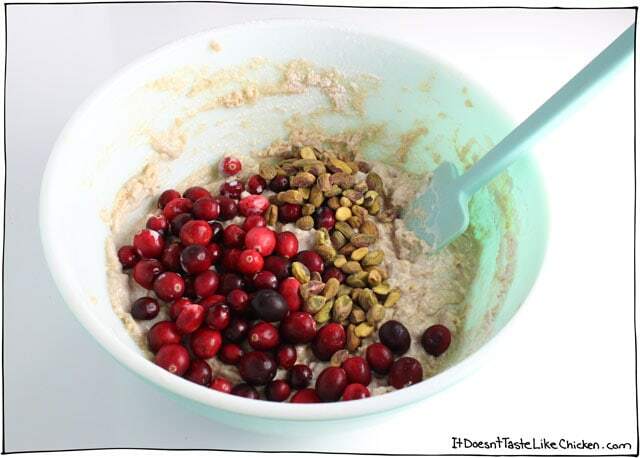 Pour the batter into a lightly greased loaf pan, then sprinkle some more cranberries and pistachios down the center of the batter. Bake for around 1 hour until a toothpick inserted into the center comes out clean. If you wish to make the icing, mix together all the icing ingredients, then drizzle over the completely cooked cake. Easy to make and a perfect morning treat with coffee or tea. Looks very festive for the holiday season and Christmas, but delicious any time of year. To make the loaf: Preheat the oven to 375F (190C). Lightly grease a loaf pan and set aside. 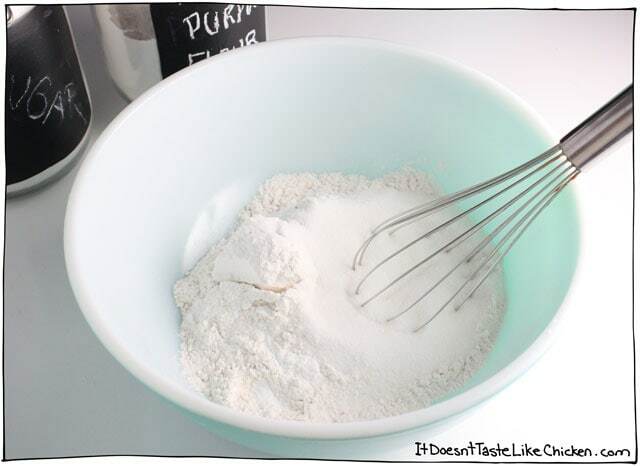 In a large bowl whisk together all of the dry ingredients. 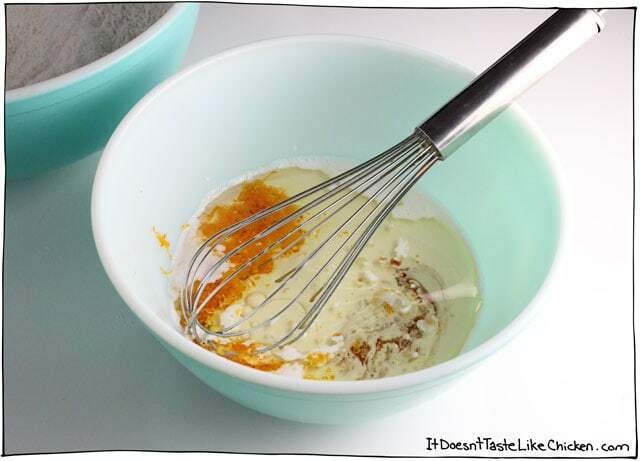 In a medium bowl whisk together all of the wet ingredients. Pour the wet ingredients into the dry ingredients and mix until just combined. Add in 1 cup of cranberries, and 1/3 cup pistachios into the batter, and stir until they are just mixed in. Don't over mix your batter. Pour into the prepared pan, then sprinkle the remaining 1/4 cup of cranberries, and 1 tablespoon of pistachios down the center of the batter. Bake for about 55 to 65 minutes until a toothpick inserted into the center of the loaf comes out clean. To make the icing: Mix all of the icing ingredients together. When the cake is completely cool, drizzle the icing over the cake. I was wondering if you used a 8 x 4 pan or a 9 x 5 ? Good question! My loaf pan is 8″ x 4″ but a 9″ x 5″ would also work, it would just be a bit shorter of a loaf. Enjoy! Made this, served it to a lot of omnis, and everyone loved it! Successfully used dried cranberries instead of fresh ones (reduced sugar to 1/2 cup, which was perfect) & walnuts (in my pantry) instead of pistachios (not in my pantry). Thanks! Great! So happy you enjoyed it! Can a different plant milk be used? Yep, but it won’t have the richness or flavour of coconut. ENjoy! Yes, almonds would be delicious and love that idea for the croissants! This is so pretty, I can’t wait to bake it. It will be perfect for holiday gatherings! Yes it is! Everyone I have served it too loves it 🙂 I hope you enjoy it! Hello Sam, in cakes and sweets, can i substitute the white flour to wholewheat or any other flour? Different flours react very differently in baked goods, so you can’t usually substitute them one for one. For example whole wheat flour is much heavier and denser, so it would totally change the texture of the loaf, so using 3/4 cup of whole wheat flour for every 1 cup of every all-purpose flour is often what people try. Here is a flour substitute guide that can help you. Keep in mind if you do substitute flours it will change the texture and outcome of the recipe, and you can’t really know how it will work until you try. Hope that helps! Yay! That’s awesome. So great to hear that it worked with a gluten free flour as well! Just had to come back to say that this is a huge winner! My dad couldn’t stop eating it. The icing is definitely a required step. Delicious! Perfect recipe, thanks Sam! I made this for our gathering yesterday and everyone loved it. 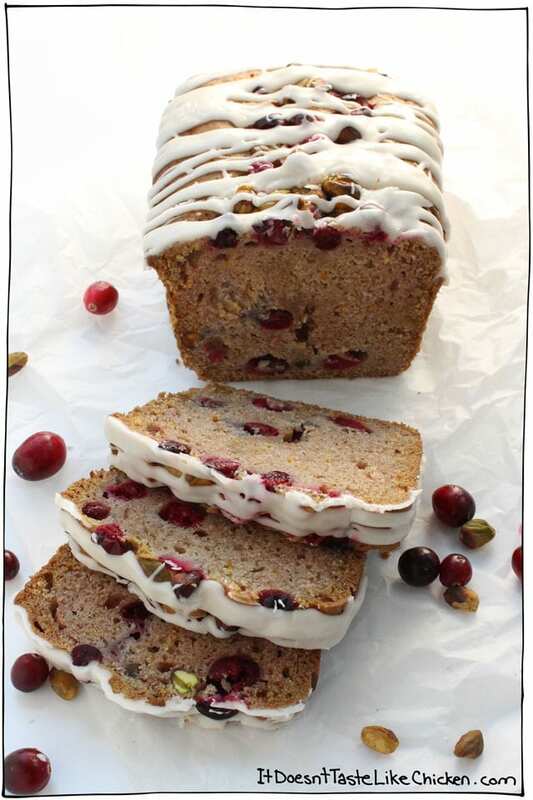 I am not normally a cranberry fan but this cranberry pistachio loaf was incredible. It was easy, quick to put together and moist and delicious. Oh yum! I love cranberries and pistachios but never would have thought of pairing them. This looks absolutely delicious and now I know what our Christmas morning breakfast will be. Do you think it would be okay to make it the night before? Should I wait to frost it until morning? Do you buy unsalted pistachios? Making it the day before is perfect. I would frost it the day before as well if it cools completely in time, because then the icing has a chance to set, so it’s not all drippy on your fingers… Errr fork, I mean fork. Haha! Unsalted or salted pistachios would both work great. Enjoy! Can you please tell me if there is a sub for the coconut milk? I have the lame allergy of coconut but I LOVE cranberries and pistachios. Thank you for creating this recipe! I think you could sub another non-dairy milk and it would work fine. I would opt for a creamier milk (as opposed to a thin milk), especially for the icing. Let us know how it turns out! Aww thanks so much Grace! Can I use dried cranberries instead of the fresh ones? Can’t get them here in South Africa. Guess it would work and then just reduce the sugar a bit to counteract the sugar in the dried cranberries? And are the pistachios salted or just shelled or what? Hi Maureen, I haven’t tried it with dried cranberries myself, but I think it would work just fine. If you give it a try, let us know how it turns out for you. The pistachios are just shelled, but if you have salted ones those would work well too. Enjoy! This is such a cool idea!! Good thing the ingredients all worked together and weren’t weird (sometimes I watch Chopped and I’m just like, WHAT?). This bread looks like something my non-vegan crew would loooove! Haha! We weren’t up for making everyone sweat, we just wanted everyone to make something delicious! I don’t think anyone would know this cake was vegan! Haha thanks! Thanks for being part of the challenge Natalie! This looks superb! 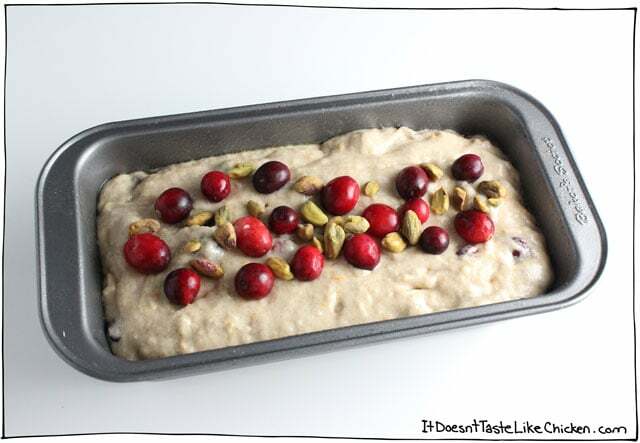 I love that you used fresh cranberries so they can burst into little pops of tanginess throughout the loaf. And that drizzle! 🙂 Thanks again for organizing the VMBC! I LOVE the idea. You are definitely on to something. 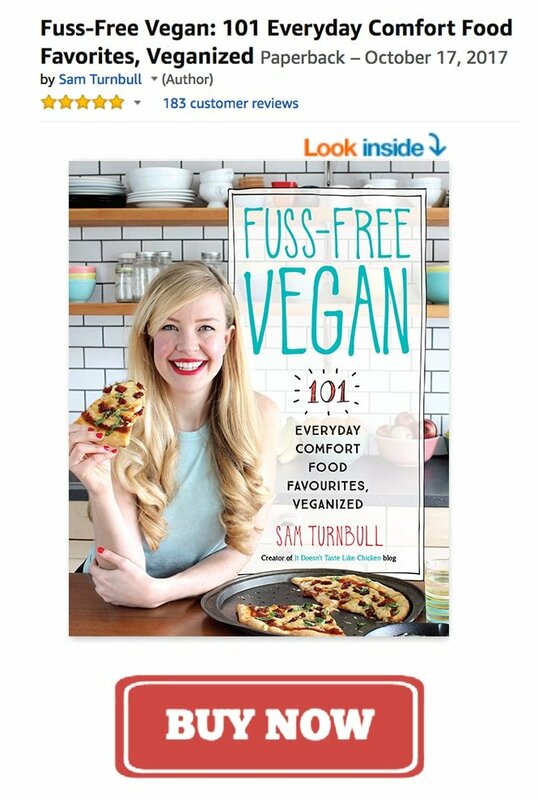 Perfect for a Vegan Chopped TV show. The concept is terrific and since becoming vegan, I’ve stopped watching Chopped and would love to see this instead. You guys did a great job launch this, the possibilities are endless. Incredible! I know what to do with the mountains of pistachios and cranberries that I bought for this challenge, haha! This sounds really yummy! Are there any other subs for the oil? Here are some tips on baking without oil. I haven’t tried any of these in this recipe, so I don’t know how it will turn out, but if you give it a go, let us know! 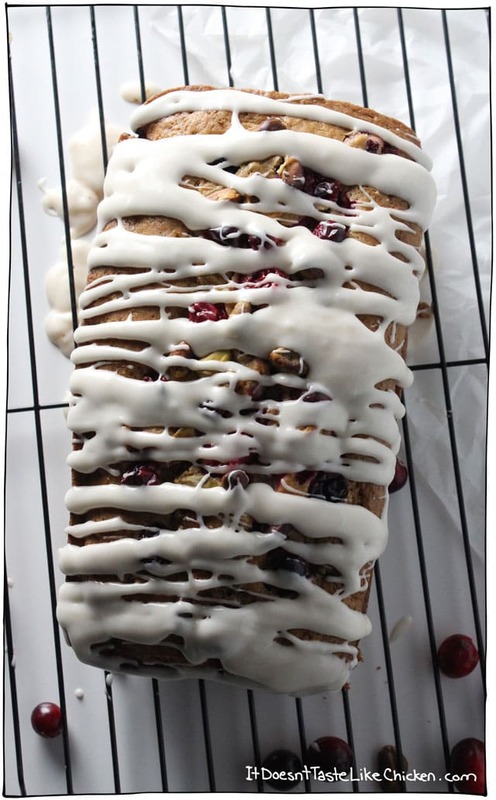 This loaf defintely looks at heavenly as you describe – I can’t wait to try it! This is the first year I’m bringing my “Vegan” self home to my family for the holiday and a lot of these recipes are going to be featured! I’ll be doing a lot of cooking to eliminate the “I don’t know what to feed you” woes AND convince everyone just how easy and great it is to be Vegan! Thanks for hosting this challenge, letting me be a part of it, and just for being great like you are! Haha, sounds like my holiday! It’s always fun to impress omnis with your amazing vegan cooking! This is such a gorgeous loaf! Sam, this looks incredible! LOVE that icing, too. Thanks so much to you both or hosting this. Alix and I will do it again for sure! Yay! So happy you enjoyed the challenge, and thank you so much! Looks so yummy! ☺ How would one get in on this vegan recipe creating fun? You can sign up here: Vegan Mystery Box Challenge. This looks amazing, Sam! Thank you for including me in the VMBC. It was so much fun! I can’t wait to do it again. That looks AMAZING! Is the coconut milk from the can? I’m assuming so, but want to make sure, because I WILL be making this! You’re welcome! If you would like to calculate a different portion size you can try using this calorie counter Hope that helps! This was such a fun challenge!! Thanks for “hosting” it! And this loaf looks amazing!! Can’t wait to try it! Great ingredient selection, Sam. It was nice to work with some festive flavours. Your loaf looks like it would fit right in for the holidays. Definitely yes to the frosting!! 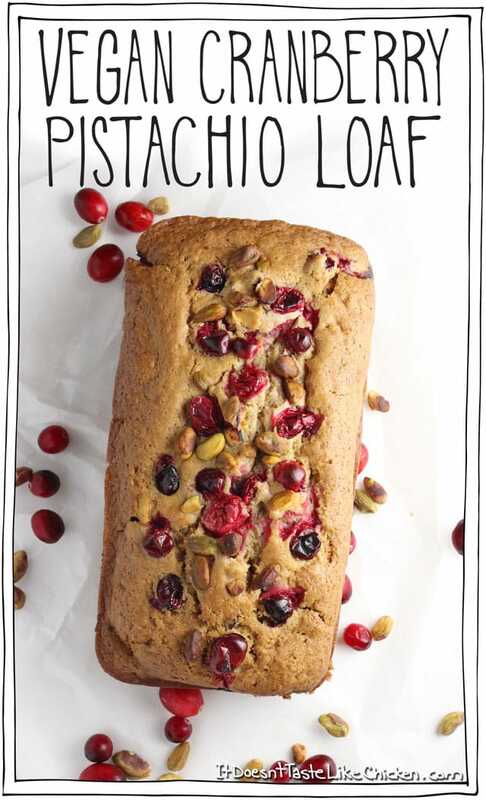 I wish I had a slice right now with my coffee…as soon as I restock my pistachios & cranberries it’s happening. Love how Easy it is to make. Thanks for creating the VMBC – so awesome!